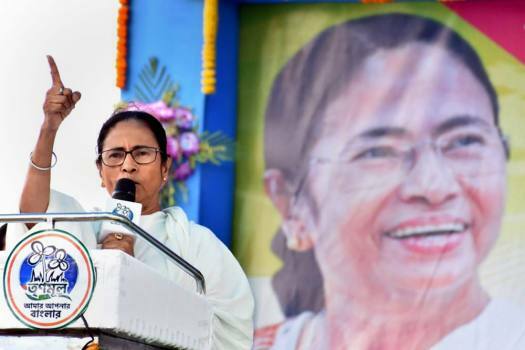 West Bengal Chief Minister and Trinamool Congress (TMC) supremo Mamata Banerjee addresses an election campaign rally for Lok Sabha polls, in Murshidabad. 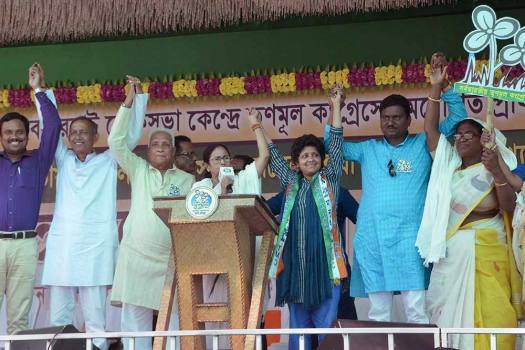 West Bengal Chief Minister and Trinamool Congress supremo Mamata Banerjee addresses during her election campaign rally ahead of Lok Sabha,in Cooch Behar. 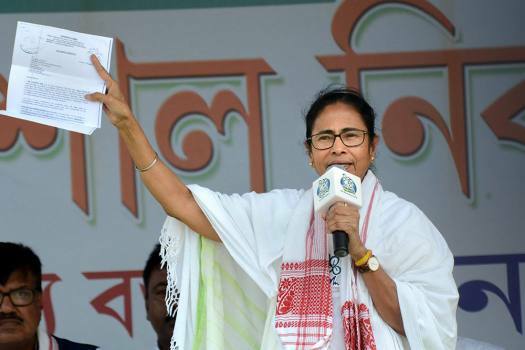 West Bengal Chief Minister and Trinamool Congress President Mamata Banerjee speaks during an election rally ahead of the Lok Sabha Polls in Dhubri. 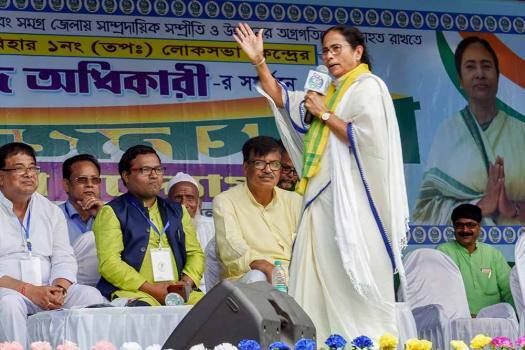 West Bengal Chief Minister and Trinamool Congress supremo Mamata Banerjee addresses during an election rally for the Lok Sabha polls, at Dinhata in Cooch Behar district. 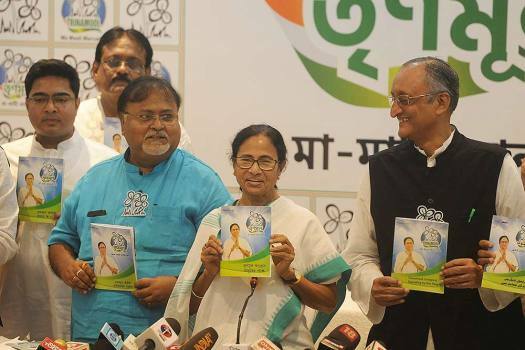 West Bengal Chief Minister and TMC supremo Mamata Banerjee releases party manifesto ahead of upcoming Lok Sabha Election 2019, in Kolkata. 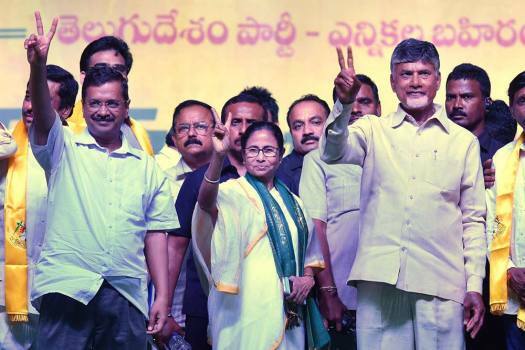 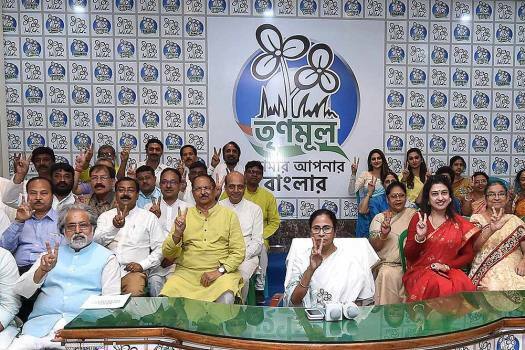 West Bengal Chief Minister and TMC Supremo Mamata Banerjee poses with her party candidates, contesting for the upcoming Lok Sabha polls, during a meeting, in Kolkata. 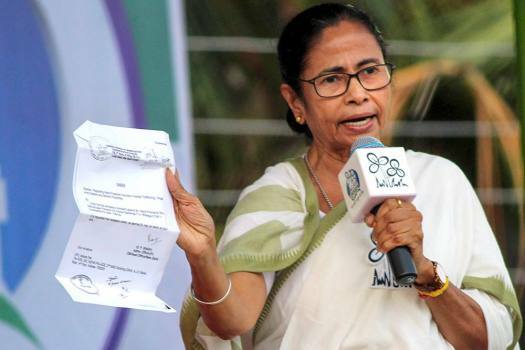 West Bengal Chief Minister and TMC Chief Mamata Banerjee shows the candidates' list for upcoming Lok Sabha election 2019, in Kolkata. 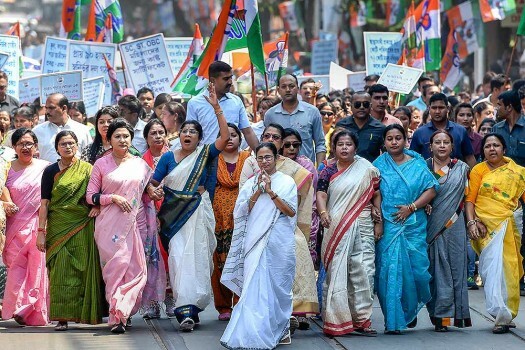 West Bengal Chief Minister Mamata Banerjee leads a 'walk', organised to mark International Women's Day in Kolkata. 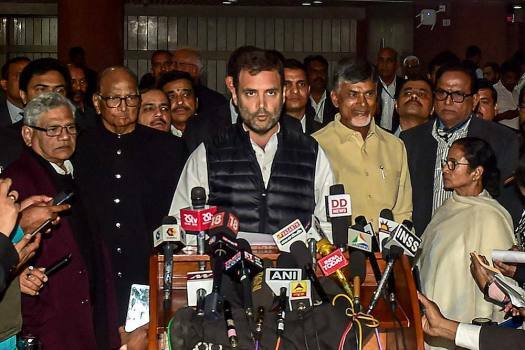 Congress President Rahul Gandhi reads a joint statement after the Opposition parties' meet at Parliament House complex, in New Delhi. 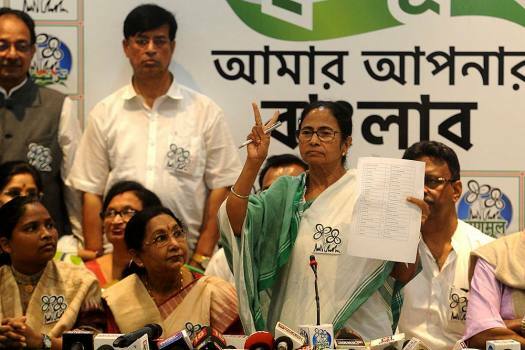 West Bengal Chief Minister Mamata Banerjee addresses her party leaders during Trinamool Congress's extended core committee meet, in Kolkata. 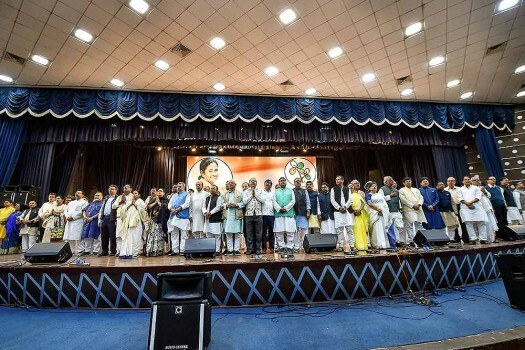 West Bengal Chief Minister Mamata Banerjee with her party leaders during Trinamool Congress's extended core committee meet, in Kolkata. 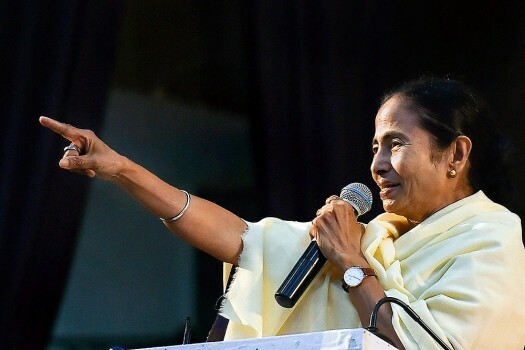 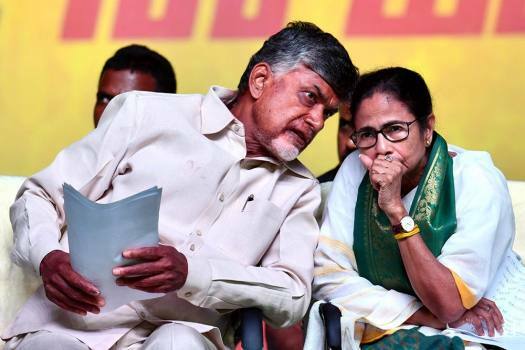 Prime Minister Narendra Modi flayed Mamata Banerjee for allowing people from the 'neighbouring country' to campaign for the Trinamool Congress in the state. 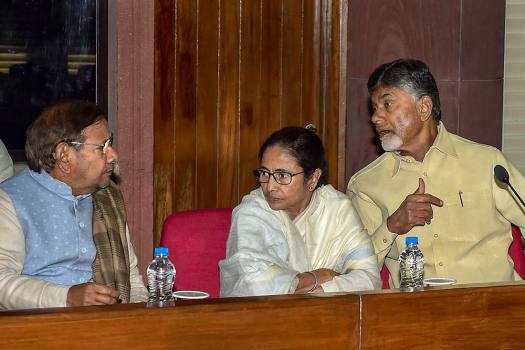 The BJP had approached the poll panel seeking a ban on the release of the movie till the election process is over. 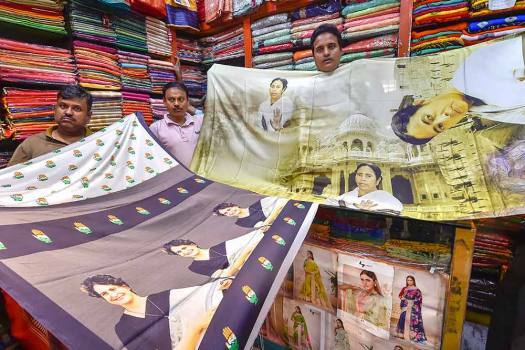 'Ahead of elections, they (BJP) are using it as a tool to divide the masses in Bengal. 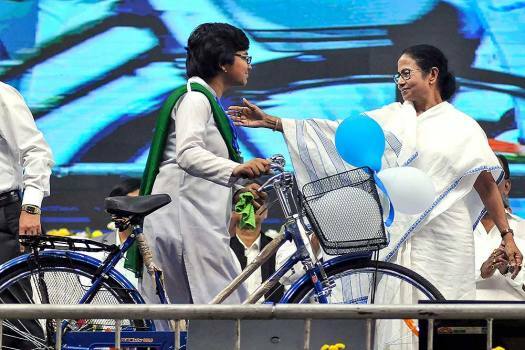 The culture of Bengal never supports the politics of violence', said Mamata Banerjee. 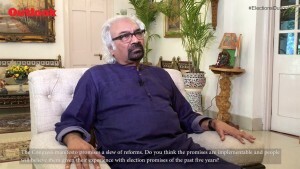 The Trinamool Congress (TMC) supremo asserted that the saffron party was trying to 'take advantage of the political turmoil in Darjeeling'. 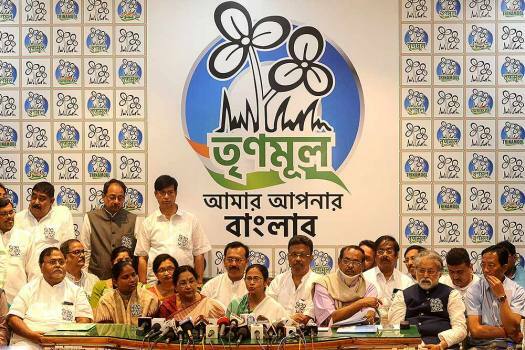 NRC Fallout: Sleepless Nights For Calcutta Now? 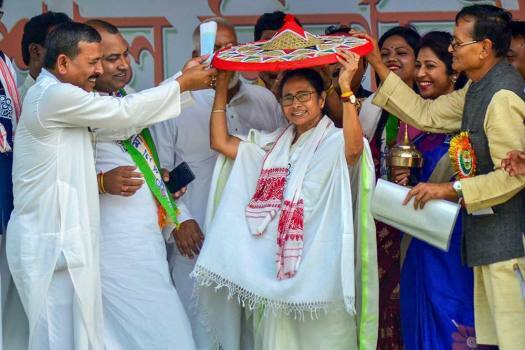 The more immediate source of tension in Calcutta currently is the possibility that the forty lakh people who were declared illegal by the neighbouring state could try to flee Assam and enter the city as refugees. 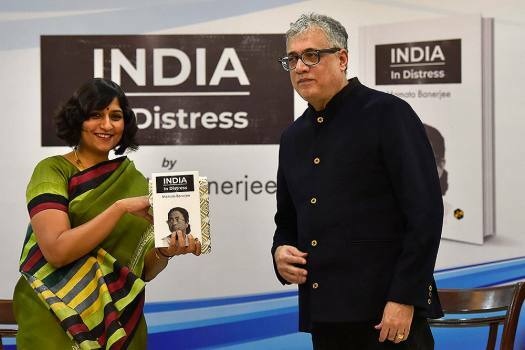 Over decades, hundreds and thousands of people had descended on the tiny cafeteria which he ran in a corner of a college campus – Calcutta’s Jadavpur University.